In the last installment of “Millennial Monday,” Express and OSU students surveyed Millennials, the majority of whom are working full or part time, to examine this generation’s attitudes on social values and whether those values have any influence on purchasing habits and career decisions. When asked how much time they spend on social media accounts, the majority of Millennials (44%) reported spending 3—5 hours on social media every day. Additionally, 42% spend less than two hours on social media accounts daily, followed by 12% who spend 6—9 hours daily and 2% who spend 10 or more hours daily. According to the survey, Millennials live up to the stereotype of spending more time on social media than older generations. Compared to the 42% of Millennials who report spending less than two hours a day on social media accounts, 64% of Non-Millennials selected this option. Only 30% of Non-Millennials spend 3—5 hours a day on social media accounts, compared to 44% of Millennials. According to the survey, Millennials believe they have the ability to change their community, country, and even world in their lifetimes. 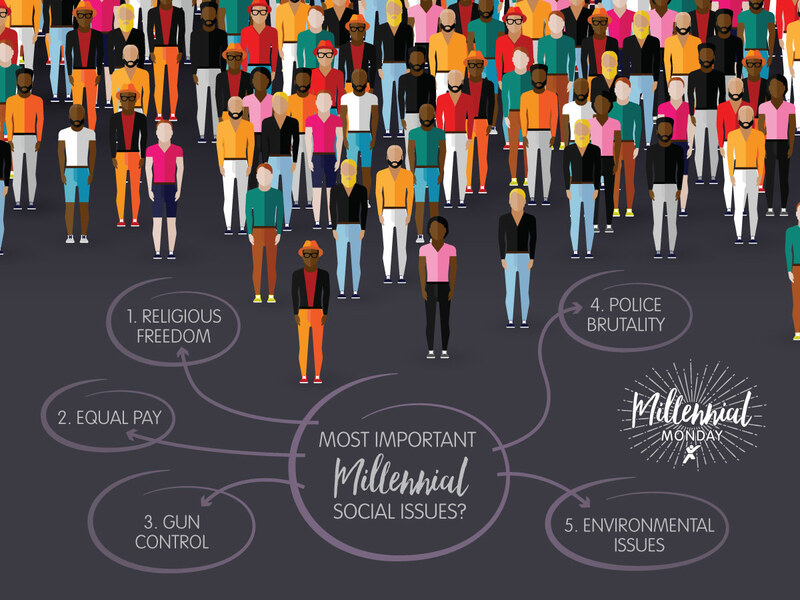 When it comes to community impact, Millennials feel strongest about their potential to affect change. In fact, only about 5% of respondents believe they don’t have the ability to positively change their communities, compared to nearly 30% who believe they don’t have the ability to change the world. Forty percent of respondents believe they can strongly affect their local community, while 15% believe they can strongly affect the world. Do your social values impact your purchasing decisions? Do they impact your job search? Share your thoughts in the comments section below! Thank you for reading our Millennial Monday series on Movin’ On Up. We hope you gained valuable insight into this important generation.